Welcome to the latest episode of Londonist Out Loud, a podcast about London. You can listen in-browser, or subscribe via iTunes or RSS. We’re now also available on Stitcher. Londonist Out Loud is presented and produced by N Quentin Woolf. This week's guest is Simon Goode, the founder and driving force behind the London Centre for Book Arts (LCBA). 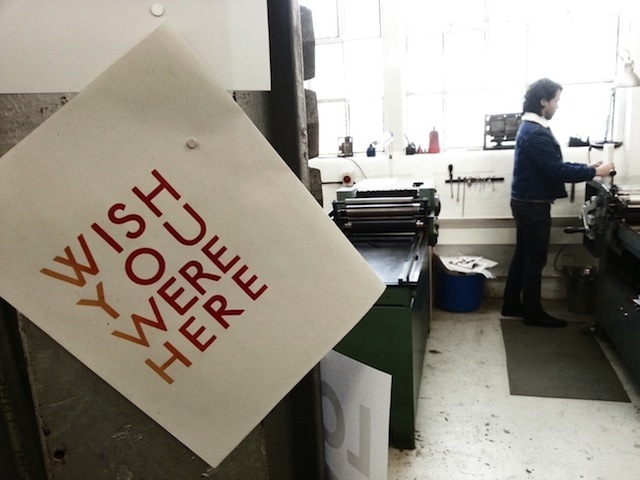 LCBA is an open access resource centre with a mission to keep the art of bookmaking alive. The pair discuss what the LCBA offers to artists or those interested in book form and self-publishing, and N Quentin Woolf receives a masterclass in paper making. Show notes by Ruth Hargreaves.